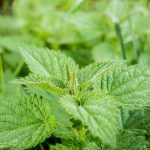 Herbs can be used topically as a compress, poultice or salve, or taken as a supplement to treat an ailment in an animal. Pet parents and animal carers should always be mindful that while herbs are a wonderful addition to an animal’s diet, the first port of call should always be determining what the animal’s core diet should be, before deciding which herb should be offered as a supplement! Herbs: Bee Pollen, Blue-Green Algae/Kelp, Fish Oil, Flaxseed Oil. Precautions: The Algae/Kelp must be from a reliable source as it can be very toxic. Herbs: Comfrey, Ginger, Alfalfa, Aloe Vera, Echinacea, Fish Oil. Precautions: Avoid Echinacea if the animal has a weak heart. Horses cannot tolerate large quantities of alfalfa. Herbs: Alfalfa, Aloe Vera, Apple Cider Vinegar, Kelp, Burdock Root, Catnip, Chamomile, Dandelion, Ginger. Precautions: Avoid Alfalfa if the animal has a bleeding disorder, do not give horses large quantities of Alfalfa. Apple Cider Vinegar should be avoided if the animal has gastric ulcers. Slippery Elm may interfere with other products given at the same time. Herbs: Apple Cider Vinegar, Calendula, Chlorophyll, Comfrey, Marshmallow, Red Clover Precautions: Avoid Apple Cider Vinegar if the animal has gastric ulcers. Always use water-soluble Chlorophyll. If the animal has a bleeding disorder avoid Red Clover. You can access the full herbal reference chart by becoming a member of The Lightfoot Way Learning Center here! Muscle testing is the way we determine which herbal supplements are required. This is also how to determine what the core diet should be before you even consider offering a herbal supplement! You can access extra resources on herbal supplements and muscle testing in our online learning center. We offer a selection of professional programs, distance learning courses and in-person personal development classes. WARNING: Herbs should always be administered with caution as they can be very powerful and potentially toxic!